The surveyor easily spotted that the living room in my 18th century newly-acquired Rutland cottage consisted of quarry tiles under damp carpet, the tiles undoubtedly put down on compacted rubble on top of the earth. 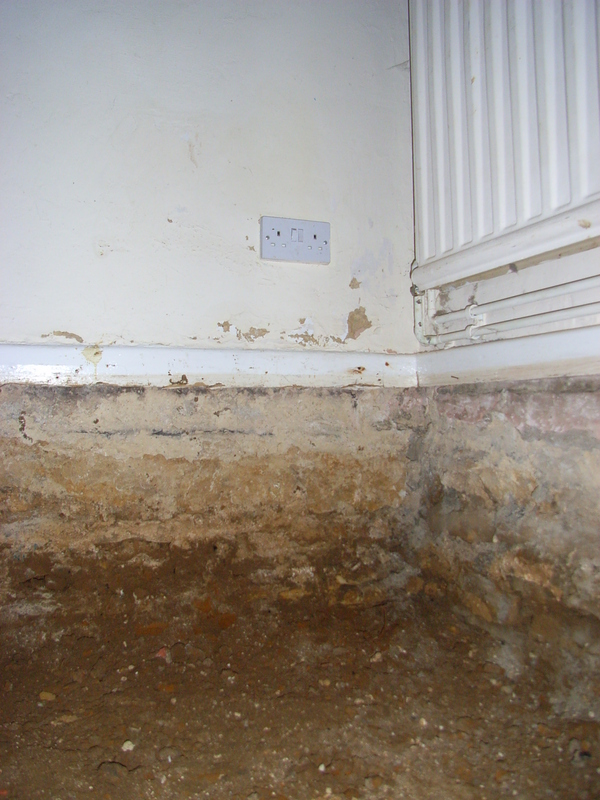 Authenticity is one thing, but a cold damp floor is something else, so of course I asked my lovely builder (4 weeks into the project, we’re still getting on well) to dig out the floor and put in a new damp proof course. And underfloor heating. But I was also suspicious about the floor in the big kitchen/diner. This seemed to be ‘modern’ – with laminate flooring on top of 1970s ‘Marley’ floor tiles, on top of concrete. But why was this floor 9 inches higher than the other half of the house? My suspicion was that in the 1960s the then owner had poured concrete on top of whatever was there… so, on the principle that I’m only going to renovate once, I got the builder to take a pneumatic drill to this floor too. 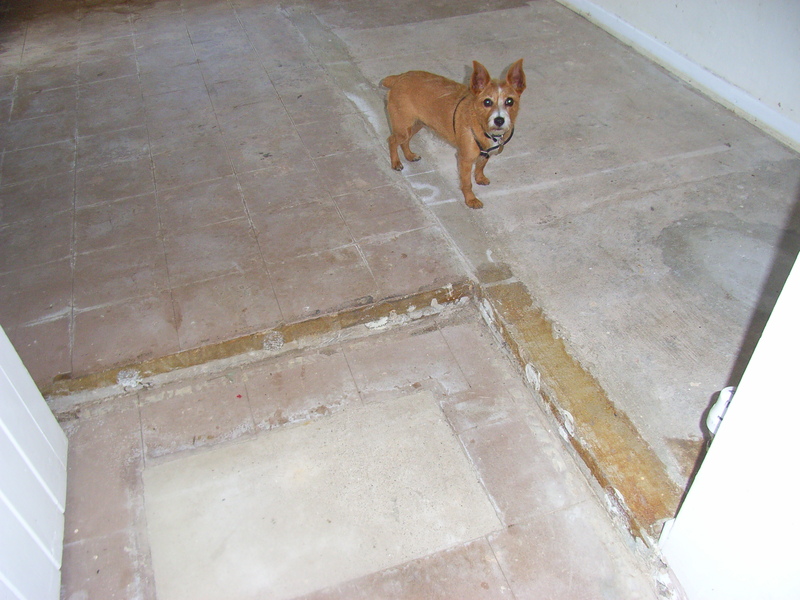 And lo and behold, under the concrete – nine inches of it – was the original stone floor. Sadly, the concrete had ruined some of the slabs and the pneumatic drill cracked a few more of them, but we’ve been able to remove a good number that are reasonably ‘clean’, with two huge,complete slabs almost three feet square. 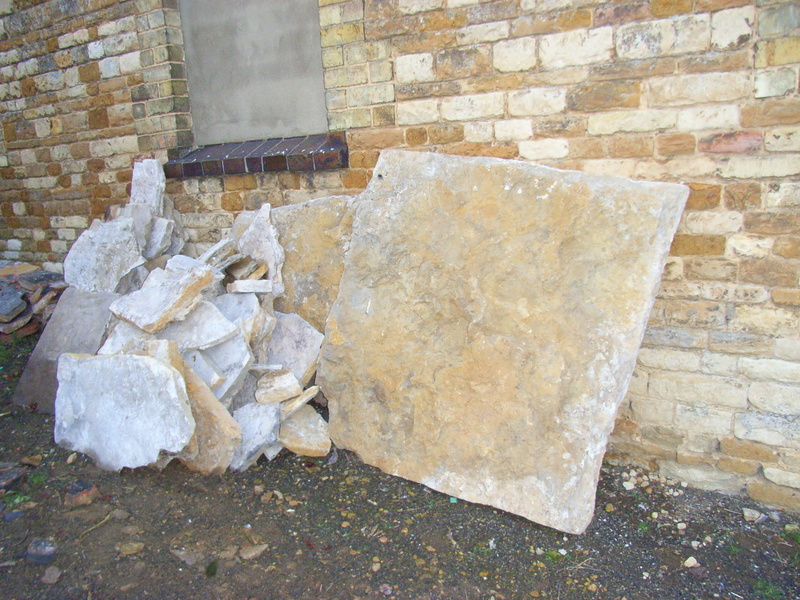 This lovely and unexpected ‘gift’ will make a beautiful terrace in the back garden, while the two inch thick quarry tiles from the living room floor (again, many ruined by tar-paper and tenacious aggregate) will go towards making some paths in the side garden.